POLOCROSSE: Chinchilla is set for a visitor boom with the announcement that the local Polocrosse Club will host the national titles in 2022. 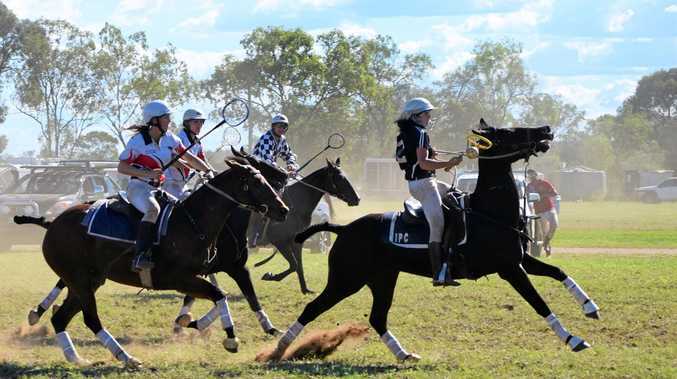 After a successful multi-horse carnival at the weekend with 50 teams from throughout Queensland and New South Wales attending, the club said it was honoured to have the opportunity to showcase Chinchilla to the wider polocrosse community. "We knew we were in with a good chance when we put a bid in to host the titles quite some time ago,” she said. "As a club we are renowned for our good quality fields with great soil. "We have a fantastic group of people who tend to them all year round. The weekend's carnival saw some of the best polocrosse players in the country preparing for the Adina Polocrosse World Cup in Warwick later this month. Among them were Chinchilla cousins Darcy and Cam O'Sullivan, who will be playing in the Queensland men's under-21 team, and Lindsay Doolan, from Miles, who will be the first reserve for Australia's World Cup team. "We have some of the best grounds in Queensland so it's been an excellent weekend for riders and horses alike to prepare for a big carnival like the World Cup,” Ms Richards said. Chinchilla managed to have a rather successful weekend on the field with teams taking out both the C and B reserve divisions and locals Matt Rynne and James Bredhauer both being named best player in the respective divisions. The national title announcement follows the tragic loss of local man, polocrosse player and agricultural advocate, Scott Sargood. The 54-year-old known for his tireless campaigning on vegetation management died in a gyrocopter crash on Bundoo Station near Charleville earlier this week. The Queensland Polocrosse Association are mourning the community's loss and remembering Mr Sargood as a "True Aussie Gentleman”. "Scotty played a big part in making Queensland polocrosse the sport and business it is today. Scott was involved in the QPA cattle enterprise, a funny and entertaining MC for our dinners, events and functions, or always available for a good yarn with a big smile and laugh at a polocrosse carnival,” Queensland Polocrosse Association president, Christine Franklin said via the association's Facebook page.